On my first night in Prague I was hosted by Ráchel, who I last taught when she was about 10. Her sister Sarah joined us for the evening; Ráchel's boyfriend Petr cooked us a fabulous quesadilla dinner. 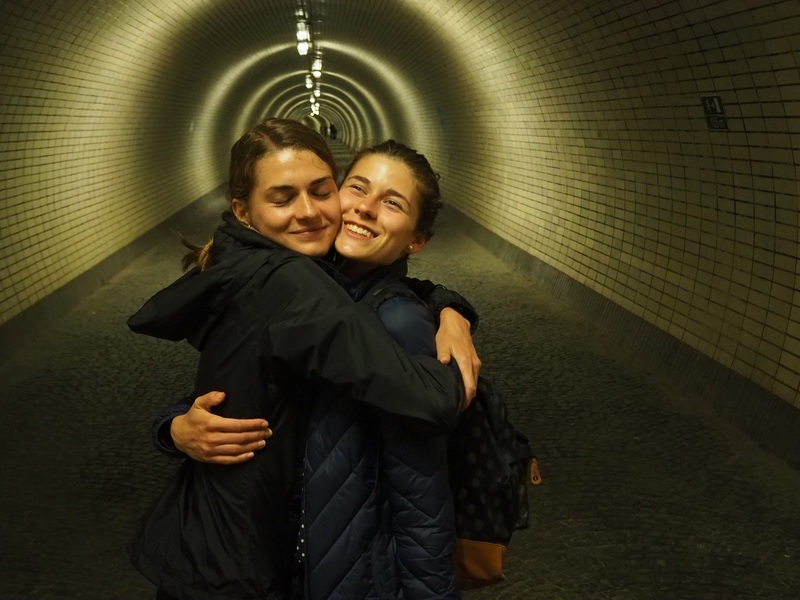 The sisters amaze me with their language prowess - between them they speak fluent Czech, English, German, Russian and Polish (I've probably missed a few out); Ráchel and Petr are about to head to Madrid to perfect their Spanish. Here the sisters are in the Žižkov tunnel, a pedestrian shortcut through a hill of the same name. That's Ráchel on the left, Sarah right. This was Ráchel when I was still teaching her English... Only Boris the dinosaur hasn't changed.